A unique value-added "replacement brake pad" with a self-contained, built-in safe, simple, reliable, low cost, maintenance free "Brake Wear Indicator" system... The vast majority of vehicles do not have brake wear indicator systems. .. 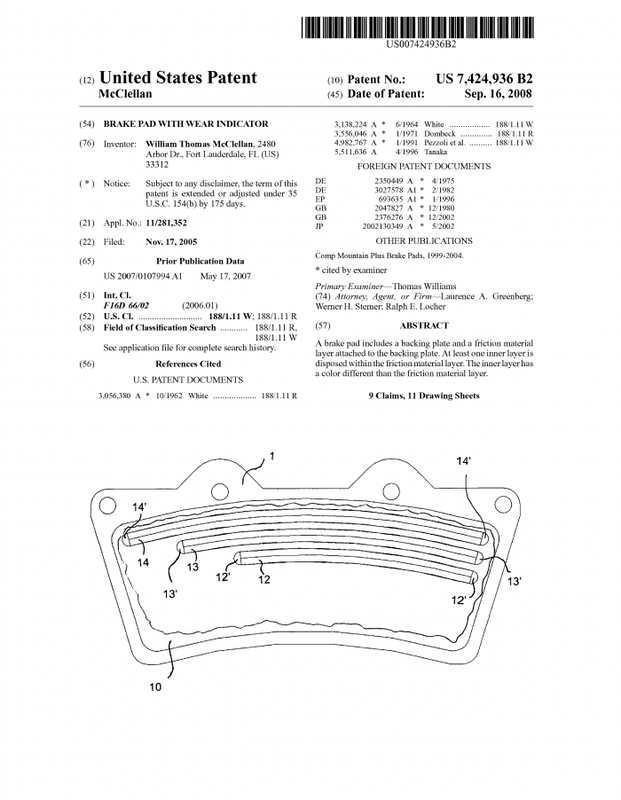 This patent allows a brake pad manufacturer to have a "value-added" brake pad. Page created at 2019-04-26 18:25:56, Patent Auction Time.